Republican Sen. Ted Cruz is aiming to survive one of the most expensive Senate races of 2018 by rallying his base of white conservatives. 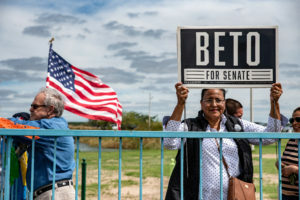 His campaign has made no conspicuous courtship of Latino voters, including no Spanish-language television ads or a Spanish version of his campaign website. And, save for a dramatic about-face this summer on the Trump administration’s “zero tolerance” immigration policies of separating children from parents, Cruz has maintained a tough line on immigration. O’Rourke’s path to an upset, meanwhile, partly hinges on bringing out Hispanics who typically don’t show up to the polls, especially in a midterm election. Texas ranks near the bottom in voter turnout, and while the state’s booming Hispanic population is on pace to outnumber whites as early as 2022, voters with Spanish surnames accounted for fewer than 1 in 5 votes in 2016. Uptick in Latino turnout has been steady but modest, and in the last midterms, exit polls showed that about 44 percent of Hispanic voters went for Republican Gov. Greg Abbott. On Thursday, a new poll from Quinnipiac University put Cruz up by 9 points and getting about 4 in 10 Hispanic voters. 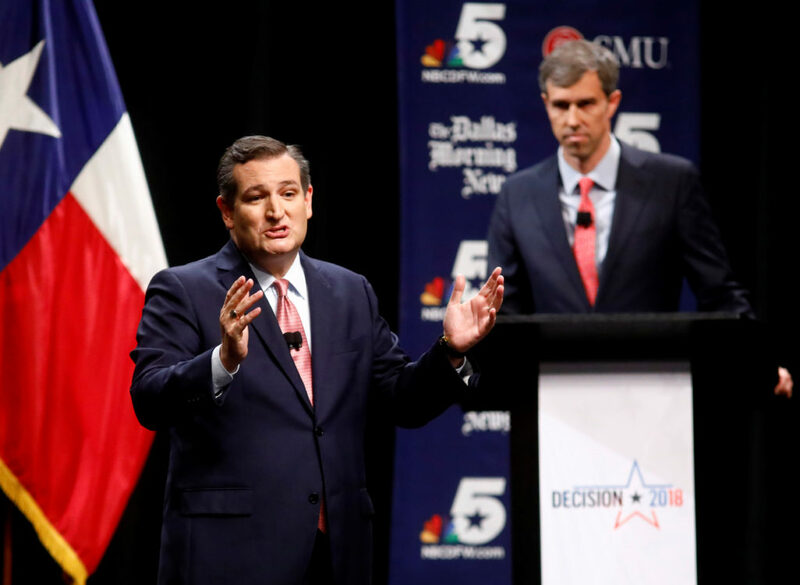 Other polls have shown a tighter race, but in any case, O’Rourke must pull in a broader electorate than his rival to become the first Texas Democrat elected to the U.S. Senate in 30 years. Hispanics are the nation’s second-fastest growing demographic in the U.S. behind Asians, and GOP strategists have braced for turmoil on the border having a fallout on the midterm elections. When more than 1,000 Latinos gathered in Phoenix in June for the annual conference of the National Association of Latino Elected Officials, the Trump administration sent no representative, the first time in at least 24 years that an administration skipped the event. Asked about Hispanic outreach in San Antonio, O’Rourke said there was still work to do.